Our selection of surfing wetsuits are great for all surfing needs! With our huge range of thicknesses, styles, sizes, and brands you'll be guaranteed to find the right wetsuit for surfing. We carry surf wetsuits from brands like O'Neill, Billabong, Xcel, and Quiksilver. Wetsuit Wearhouse specializes in surfing wetsuits and surfing accessories for any water temperature on the planet. Warm water surfers will enjoy our selection of surfing wetsuit tops, bottoms, and springsuits. 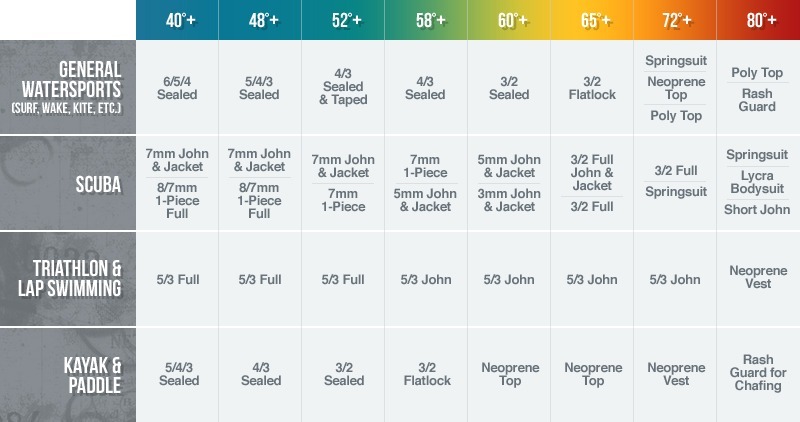 Our 3/2mm and 4/3mm surfing wetsuit lineup will take care of you in the 50-70 degree range. Cold water surfers will find an extensive selection of hooded wetsuits, plus cold water boots, gloves, and hoods up to 7mm.